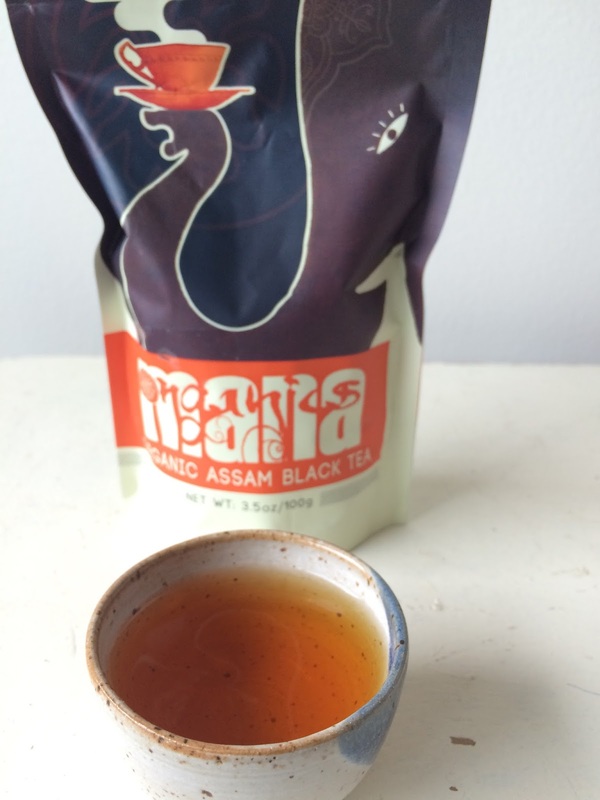 Another day, another Assam! 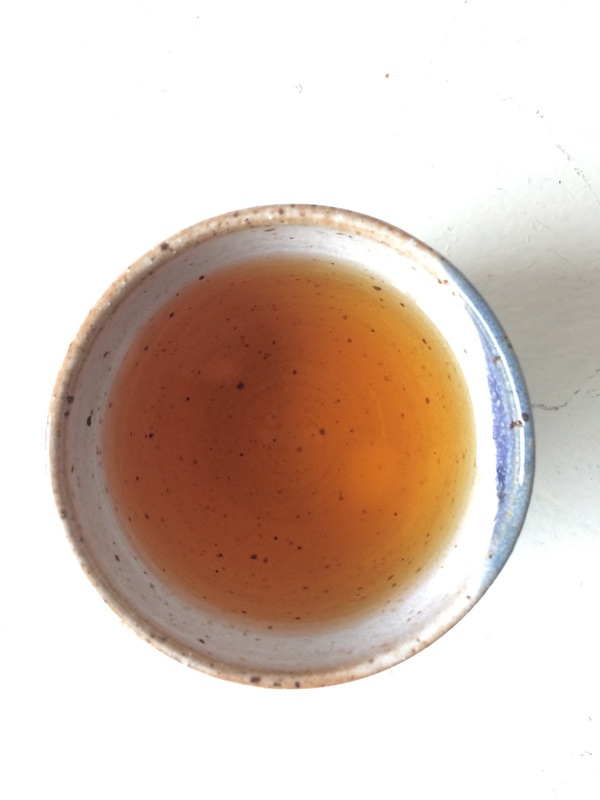 Did you read yesterday's post about cupping Assam (and Uva) for tea school? I don't recall drinking lots of black tea as a child - children were given various herbs to drink - but there was a strong practice of drinking black tea with milk and sometimes sugar among adults. I wonder if exposure to the delightful fragrance of malty, milky black tea has influenced my black tea palate. I'm joking, a bit. I enjoy the Assam we have been drinking courtesy of Mana Organics. It's honestly good even if I did not favor this type of black tea. 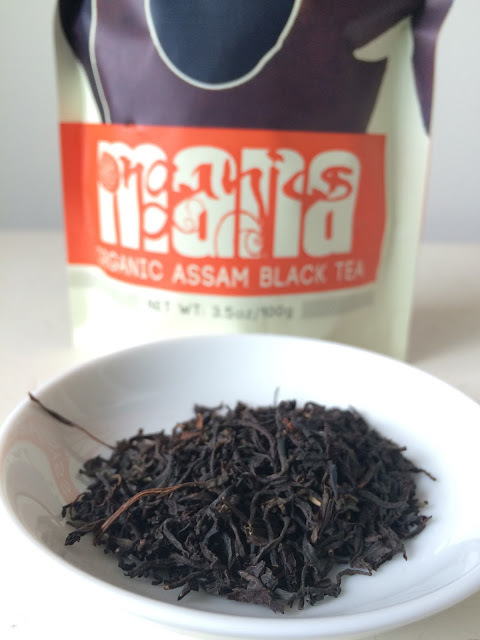 The Mana Organics Assam is certified organic. The tea is graded FOP1 for flowery orange pekoe indicating presence of buds. The number 1 was assigned by the tea taster and this usually indicates that the tea taster found this particular batch to be special. 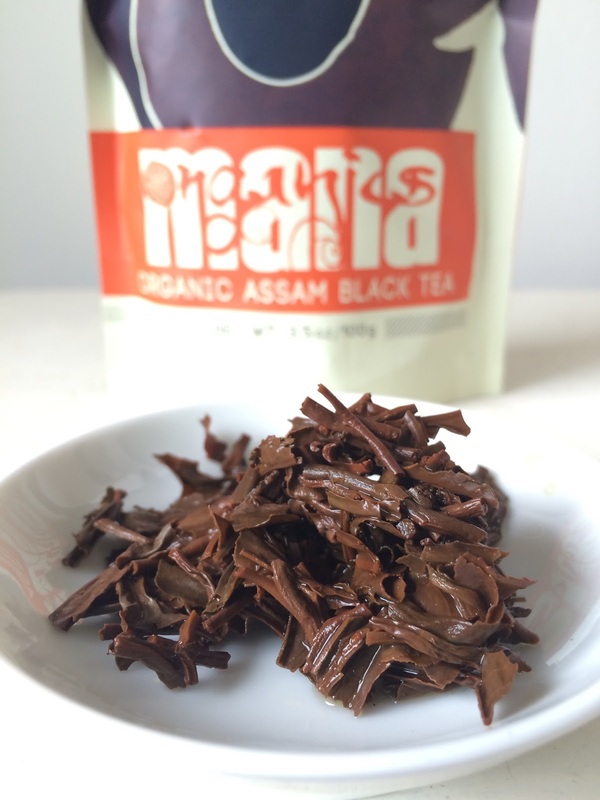 This Assam is picked from the Chota Tingrai estate which began producing tea in 1943. I partially followed the instructions on the foil lined pouch. I used 1 teaspoon and infused the leaves for 4 minutes. I have used both boiling water (specified) and 200F water. Boiling water is the better option. No volume was specified so I used 8 ounces. I did not add milk or sugar. I don't think you should. The dark dry leaves with silver and golden tips smelled sweet and malty with notes of dark fruit and chocolate. The infused leaves had a brisk fragrance. The pretty coppery liquor did not offer up any discernible smell. But it was very flavorful. The tea was sweet, malty, brisk, and tart with chocolate and fruit notes. Perhaps the fruit flavor was date. I have been eating a lot of Medjool dates. The dry and infused leaves look like two different teas, don't they? Tea provided by Mana Organics. P.S. For more information about Mana Organics operations, read Sara's interview with co-founder Avantika Jalan at the Tea Happiness blog.